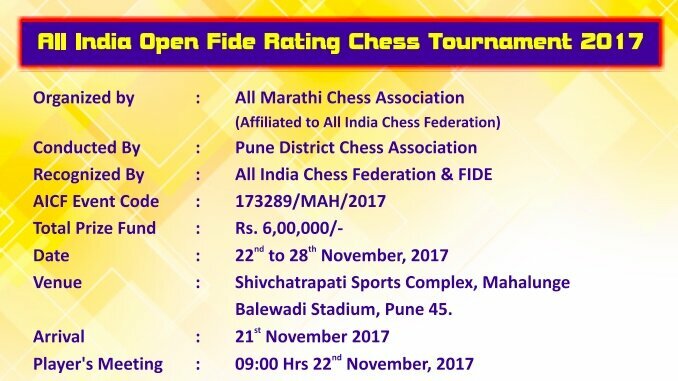 Deccan Gymkhana Chess Tournament Rapid 26 - 27 November 2019 Deccan Gymkhana, Survey No 759/1, Ground Floor, Club House Building, Pune 411004. 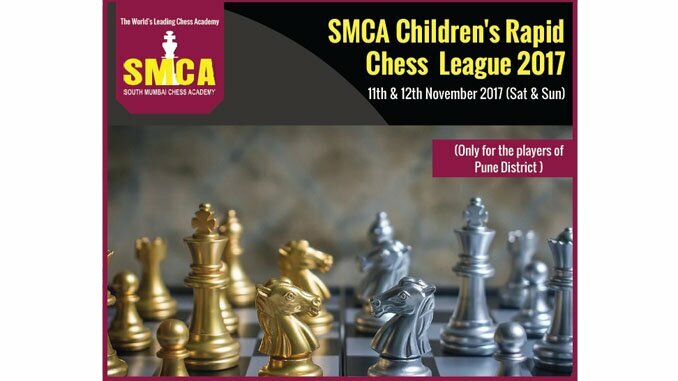 Deccan Gymkhana Chess Tournament Rapid 26 - 27 October 2019 Deccan Gymkhana, Survey No 759/1, Ground Floor, Club House Building, Pune 411004. 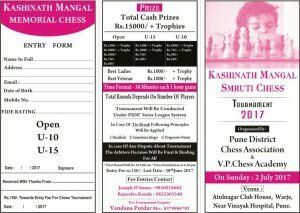 Deccan Gymkhana Chess Tournament Rapid 28 - 29 September 2019 Deccan Gymkhana, Survey No 759/1, Ground Floor, Club House Building, Pune 411004. 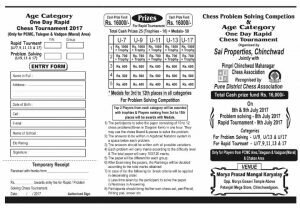 Deccan Gymkhana Chess Tournament Rapid 24 - 25 August 2019 Deccan Gymkhana, Survey No 759/1, Ground Floor, Club House Building, Pune 411004. 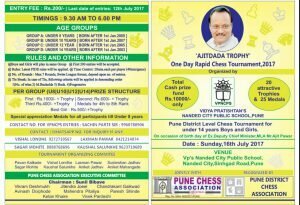 Deccan Gymkhana Chess Tournament Rapid 27 - 28 July 2019 Deccan Gymkhana, Survey No 759/1, Ground Floor, Club House Building, Pune 411004. 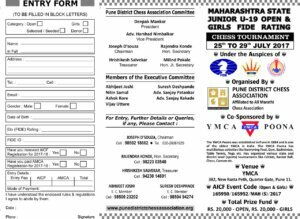 Deccan Gymkhana Chess Tournament Rapid 29 - 30 June 2019 Deccan Gymkhana, Survey No 759/1, Ground Floor, Club House Building, Pune 411004. 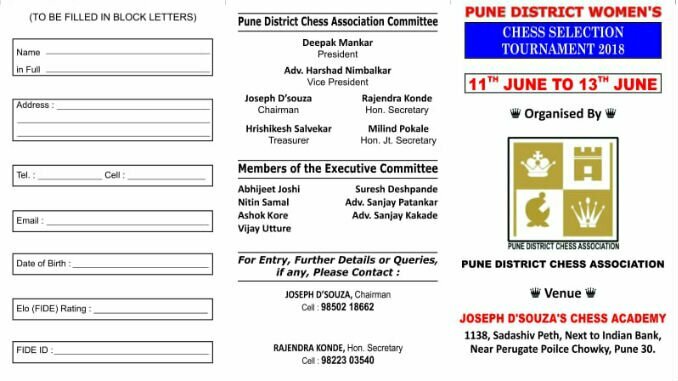 Deccan Gymkhana Chess Tournament Rapid 5th May 2019 Deccan Gymkhana, Survey No 759/1, Ground Floor, Club House Building, Pune 411004. 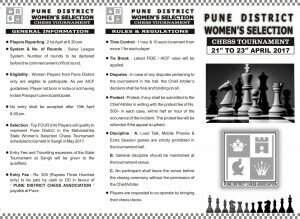 Deccan Gymkhana Chess Tournament Rapid 20 - 21 April 2019 Deccan Gymkhana, Survey No 759/1, Ground Floor, Club House Building, Pune 411004. 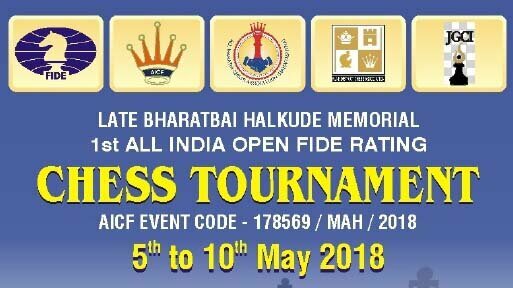 Deccan Gymkhana Chess Tournament Rapid 30 - 31 March 2019 Deccan Gymkhana, Survey No 759/1, Ground Floor, Club House Building, Pune 411004. 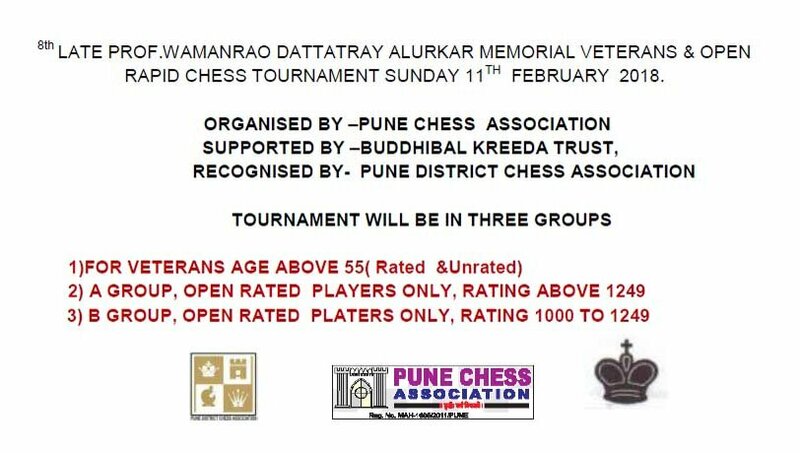 Deccan Gymkhana Chess Tournament Rapid 9th Jan 2019 Deccan Gymkhana, Survey No 759/1, Ground Floor, Club House Building, Pune 411004. Rapid 13th Jan 2019 Dolphins International School, Lane No. 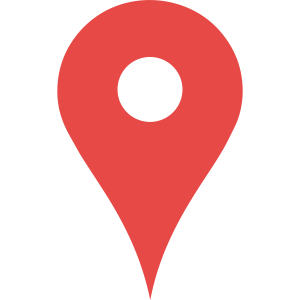 3, Madhuban Society, Old Sangavi, Pune 27. Bharat Ratn Late. 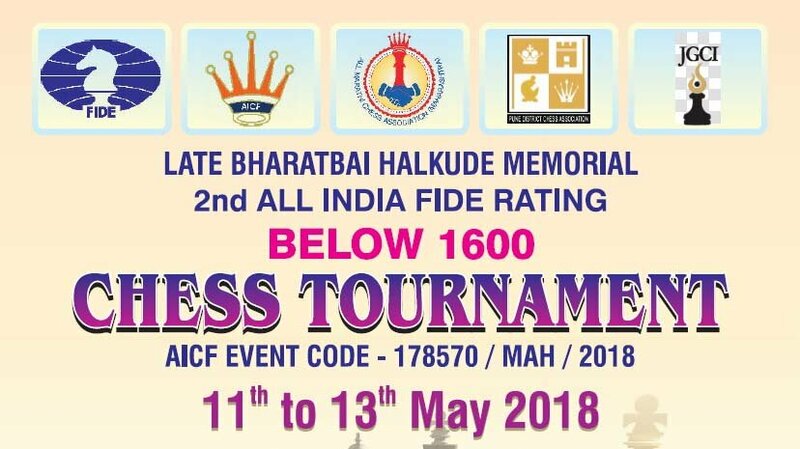 Shree Atal Bihari Vajpayee Memorial Open One Day Rapid Chess Tournament - - 25th Dec 2018 Late Hirabai Dhankude Multi - purpose Hall, Baner Pune. 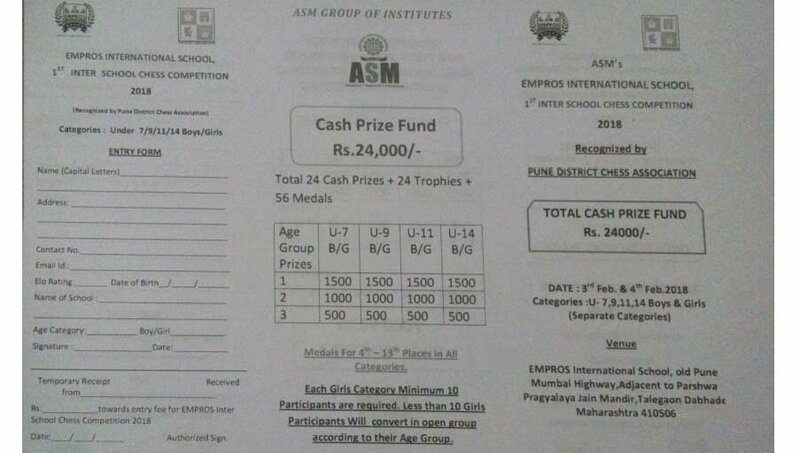 Late Shikshanmaharshi Shivajirao Konde Memorial Third Mharashtra State Open Rapid Chess Tournament Rapid - 23rd Dec 2018 Shivbhumi Vidyalay, sector 21, yamunanagar, nigdi, near yamunanagar police station, pune 44. - - 9th Dec 2018 Dolphins International School, Lane No. 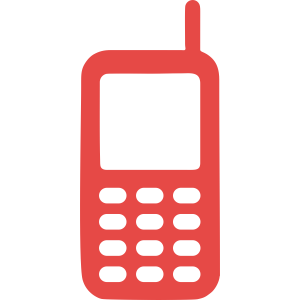 3, Madhuban Society, Old Sangavi, Pune 27. 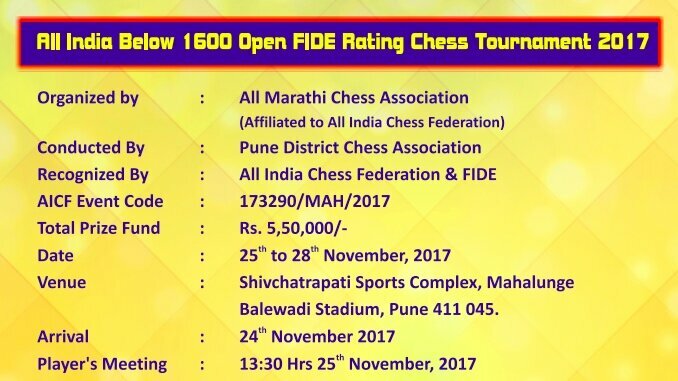 - - 1st to 3rd Dec 2018 Nehru Stadium Swargate to sarasbaug road, Shukrawar Peth, Pune - 411 002. - - 27th Nov to 30th Nov 2018 Shivbhumi Vidyalay, sector 21, yamunanagar, nigdi, near yamunanagar police station, pune 44. Classical 178570/MAH/2018 11th May to 13th May 2018 Ganesh Kala Krida Manch, Swargate, Pune. Classical 178569/MAH/2018 5th May to 10th May 2018 Ganesh Kala Krida Manch, Swargate, Pune. Rapid - 11th Feb 2018 Symbiosis Sports Centre, Prabhat Road, Lane No 15, Pune 411 004. Morya Prasad Mangal Karyalaya, Opp Morya Gosavi Temple, Above Patanjali Mega Store, Chinchwadgaon.